For the last few years 4K Ultra HD (UHD) video has been the next big thing, but with relatively little content, buying a 4K display was more about future proofing a setup than actually taking advantage of the technology. Now, with 4K Blu-rays coming out all the time as well as 4K streaming content from Netflix, YouTube and Amazon, that future is finally here. With the price of 4K displays dropping to what 1080p sets were a few years ago, as little as under $400 in some cases, now is a great time to get a 4K display and jump into the world of UHD. Here’s a guide to 4K UHD and everything you need to get started. What is 4K UHD anyway? Good question! It’s actually really straight forward, 4K is merely higher resolution video with more pixels than the regular HD standard of 1080p. 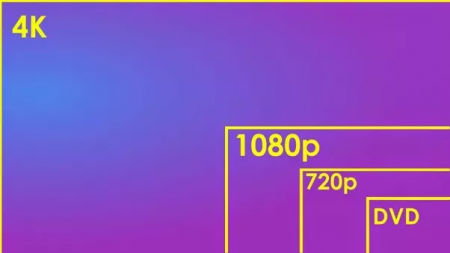 1080p is a resolution of 1920 x 1080 pixels, 4K boasts 3840 x 2160 pixels. All told a 4K screen packs in over 8 million pixels, which is 4 times more than a 1080p screen. It’s called 4K because the movie theater standard, called Cinema 4K, has slightly more pixels and vertically is 4096 pixels, which is shortened to 4K. I guess somebody thought that sounded cooler than just calling it 2160p, which would have been using the same naming convention as HD. In any event, more pixels means a sharper and more detailed picture. Want to see each blade of grass that the animators worked so hard on in the latest Pixar movie? A 4K image will give you that level of nuance. OK, I’m Sold, What Do I Need? First off you’ll need a display that is capable of 4K resolution, which is now a large percentage of displays on the market. However, if you see 1080p in the description or specs, then that is a standard HD display. As mentioned, 4K displays are very affordable now, so you won’t have to drop thousands of dollars on one, unless you want a gigantic display in the 70″ or larger range. Next, you’ll want to get a 4K Blu-ray player so you can start watching the new releases that are available in 4K as well as a growing number of catalog titles. These are also not expensive and can be less than $100. One nice feature of a 4K Blu-ray player is it will upconvert standard 1080p Blu-rays to 4K as well. Next, although many people these days just use apps in their Smart TV for streaming, you may want to get a streaming player, like the Apple TV 4K or Fire TV with Ultra HD. We recently compared the advantages of each device in our gift guide, but both will allow you to access the 4K content that is available on Netflix and YouTube. Currently, the Fire TV is the only option for streaming Amazon 4K content. One note here, you will also need an internet connection with enough bandwidth to stream 4K. The commonly sited speed requirements range from 15 Mbps to 25 Mbps, both of which are available from most ISPs. Finally, you’ll probably want a receiver capable of 4K HDMI switching, and this is going to be the biggest cost as a receiver with a decent amplifier section is going to run you in the vicinity of $600 or more depending on how important sound quality is for your purposes. However, there are a couple of workarounds available if you aren’t ready to go whole hog and buy a new receiver to go along with your new TV. Most TVs have an optical digital audio output. As long as yours does, you can connect the HDMI cables from your sources directly to the TV and then run the audio back to the receiver via optical cable. The only downside is that some TVs have only a couple of HDMI inputs, so you’ll be limited to how many devices you can connect in this fashion. If you’ll be using apps to access streaming content, the 4K video will already be streamed to your display natively. In this case, if you have an audio return channel (ARC) HDMI connection from the receiver to the TV, the audio can go back to your receiver via this method. Just keep in mind that ARC will only work with content that originates at your TV and not from another media device. High Dynamic Range (HDR) is a separate technology from 4K and is a new standard that provides an image with a wider and more accurate range of color and better contrast ratio, that is it heightens the difference between dark and light areas of the image to make them look more realistic. Just to make things really confusing, Sony even makes 1080p TVs with HDR, to help alleviate the pain of the Playstation 4 Pro only outputting 1080p from its Blu-ray player. While 4K makes for a more detailed image, HDR is all about a more accurate image when compared with the real thing. Or to put it simply, 4K is more pixels while HDR is pixels with enhanced color and light. HDR technology started in cameras, as I’m sure you’ve probably seen the HDR setting in your phone’s camera. Everyone agrees that content that uses HDR looks better than content that doesn’t, so when you are shopping for a TV, make sure that it also supports HDR as well. The good news is that just about every new 4K display will have HDR built in. Unfortunately it isn’t quite that simple, as there are two competing HDR formats, HDR10, and the recently announced HDR10+ version, and Dolby Vision. HDR10 is the basic standard, while Dolby’s licensed version touts enhanced color and contrast even above HDR10. So if you really want a state of the art setup, all indications seem to be that getting Dolby Vision compatible gear would be the way to go. Which in addition to your display would include your receiver, Blu-ray player and streaming player. However in the case of the receiver, you could also use the above workarounds. One note on streaming players, Dolby Vision is one difference between the Apple TV and the Fire TV in that Apple TV supports it while the Fire TV does not. Even though the content available in 4K (and HDR) is rapidly expanding, we’re still a ways off from these formats being broadcast. So for now, when you are watching live TV, it’s going to be limited to good old standard 1080p. Since 4K carries four times the data of 1080p, the infrastructure currently doesn’t exist to provide the necessary bandwidth for over the air or cable broadcasts. However Dish and DirecTV have begun offering some limited 4K programming, so widespread 4K broadcasts will arrive, eventually. Another thing is that if you are just getting over the air broadcast, your TV’s built in tuner will need to be compatible with 4K. Today’s TVs are not made with 4K tuners, so you may have to buy yet another TV if you want to watch broadcast 4K, when it happens, without cable or satellite. 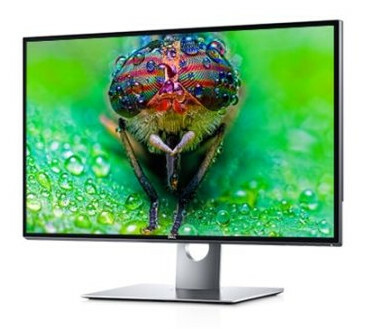 And of course the march of technology never stops as 8K, that is a resolution of 7680 x 4320, is officially a thing that now exists with the release of the world’s first 8K commercially availble monitor, the Dell UltraSharp 32 Ultra HD 8K Monitor. While it’s inevitable that 8K will some day become the standard, that’s going to be a while, currently there isn’t any content and as with 4K, PC gamers will be leading the charge with the first compatible titles. For now though, most GPUs don’t have the processing power to output an image at that resolution. So for the time being, let’s just pretend that 8K doesn’t exist, but it will be rearing it’s high definition head in the next few years. One last caveat, to really appreciate the added detail of 4K, or any increased resolution for that matter, you need to get close enough to the screen to keep the individual pixels from blending together. Which is especially true of a smaller screen in the under 50 inch category. So to really get the full benefit of 4K, you may want to sit a bit closer than you did with your 1080p display. You can check out this chart, which has recommended viewing distances based on the size and type of screen. Sure, your mother warned you about ruining your eyes by sitting too close to the TV, but that was just a myth, at least we’re pretty sure it was. To sum up, with low prices, more and more content and the added benefit of HDR, now is the perfect time to invest in a new 4K UHD display. Like regular HD, once you immerse yourself in all that the latest video technology has to offer, there won’t be any going back.